﻿ Fab Fantasy Fiction: What's your favorite eReader and why? Curiosity is one of my besetting sins. When my favorite group of book loving and reading divas began to discuss their favorite eReaders, I wanted to try each and every one of them (you know that grass is greener complex). But since I don't have the money to do so, nor really need that many electronics cluttering my life, I thought I'd through that question out to all of you. And the you I'm referring to are those who primarily are choosing digital over print. As for me? I'm a total Kindle girl now, though I began my digital book journey on an iPhone, however just needed a larger format and a more reliable and user friendly app than either iBooks or Bluefire. Even the Kindle app on the iPhone was quirky. As I'm an Apple devotee, I thought my iPad would do it all (regular old iPad 4, not a mini nor an air). But it was really unwieldy and far more suited to some work related things than really becoming my go to eReader. 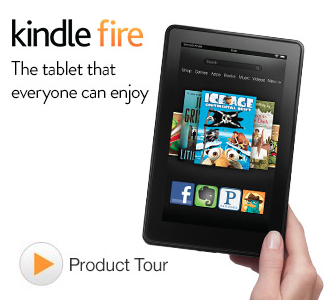 As Amazon is an incredible innovator hardware developer and the following fall released the Kindle Fire﻿ HD. Forget bringing the iPad with me, this tab replaced it. Weighing less and could easily to double duty taking notes in meetings, checking email and social media. . . and was great for reading too. But then last year I was seduced by big Fire HDX (yes, the 8.9" one). It was my Christmas and birthday self-present! I love it and have officially retired my iPad now (except for using the TurboTax app every April). The HDX does it all! The front and rear cameras on this tab are spectacular. Skyping? Just a pleasure! Watching innumerable television shows? Addictive. 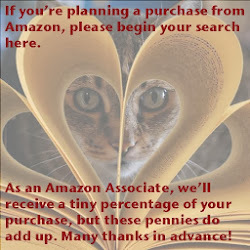 Yes, Amazon, in my opinion has outdone Apple, with a sleeker and more beautiful package at a far better price. How 'bout them apples, Apple? One of my fellow book divas kept raving about eInk readers. I couldn't see the appeal. A gadget just for reading, when these tabs could do so much? On my Fire HD and HDX I could read, Facebook, tweet, write, watch some HBO, and blog post, so why would I consider anything else? But my friend kept talking and as she's one of those people who knows not only about great authors, but about reading, I said, heck, I'll try an eInk reader. I went cheap the first time and bought the $69 version. It was shipped back to Amazon before it even charged. I might consider a non-color reader, but a non-touch screen one? NEVER! I spent the extra $50 and exchanged the cheap eInk reader for a Paperwhite. I hated it at first and was quite prepared to pack it return it too. I read fast, really fast, and the eInk transitions were just to slow for me. But it began to learn how I read and all of a sudden, those transitions were non-existent. I didn't send the Paperwhite back. Once I adjusted the timing of the word formation (think Etch-a-Sketch), I started using it as my bedtime eReader, as its dimensions and weight just make it perfect for a one-handed reading-myself-to-sleep device. Soon, I found myself taking it along with me to read at other times. Now? It's the only eReader I'll use. Yes, I was totally converted from reading on a colored bells and whistles tab, to the seemingly dullish black and white eInk world of the Paperwhite. But in reality, it's not dull at all. REALLY. It's. Not. The. Paperwhite. ROCKS! Yes, this little eReader is so much easier on the eyes of this bookaholic. I read about 15-20 books per week on the average, so I'm really giving it and my eyes a work out. I hadn't realized how much my eyes have adjusted to the superb quality of the eInk screen, until I opened a book the other day on my HDX. I couldn't read it. I. Couldn't. Read. It. Seriously, I had a hard time looking at that 8.9" screen to read that only 6 months earlier had been to me a Nirvana of eReaders. That's right, the little old Paperwhite is proving to be so much more eye-friendly that I'll never go back to a non-eInk reader. The other thing about the Paperwhite is that the digital library is super easy to use and maintain. I can create folders for ARCs on my lappy, collections on the Paperwhite, and shift books easily from my computer to eReader and back again via the USB cord. Plus as I'm doing this, the Paperwhite is recharging (unlike the Fires that need to be plugged into an electrical outlet via adaptor). The Paperwhite, in my opinion, is one little powerhouse of an eReader! Well, that's quite enough about me! Now I want to hear from you. Yes. YOU! What is your favorite eReading device? What would you recommend to others and why? How does its price stack up? What is your DREAM eReader and why? Is it the Kobo? Nook? Samsung? or something else? Is it a Tab or eInk screen? What reading apps do you use and LOVE? Let's start a handy dialogue now that might serve as a helpful reference point for anyone searching out an eReader of their own.